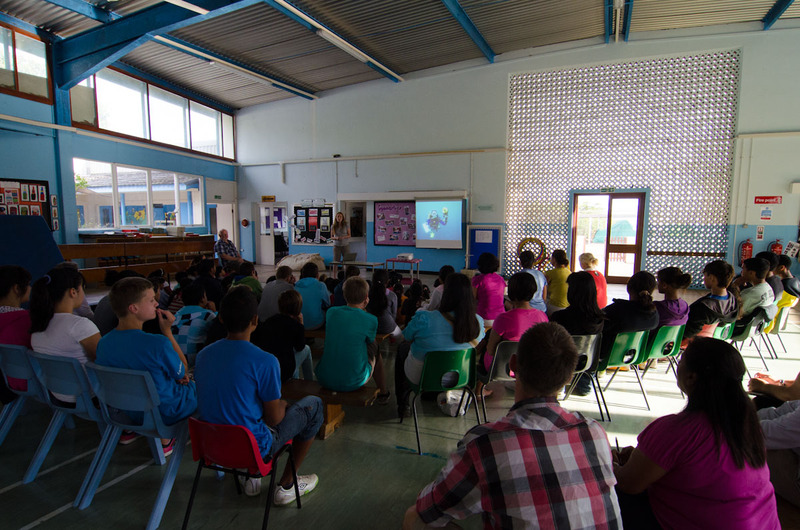 Yesterday, Drs Paul Brickle, Jude Brown and Simon Morley gave a talk about the project to a gathering held in the Ascension Islands magistrate's court. The island's Administrator, Mr Colin Wells, attended along with other Ascension Island government representatives including councillors, service heads, Ascension Conservation members and the RAF base commander. 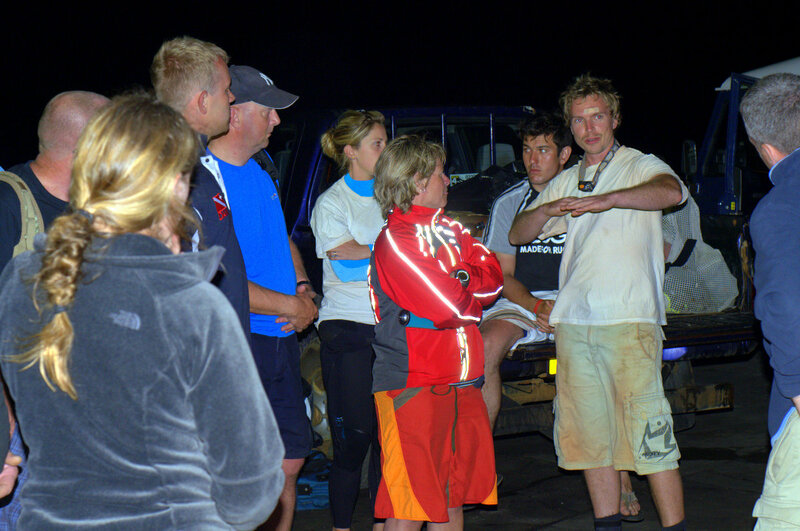 [caption id="attachment_430" align="aligncenter" width="584"] Paul Brickle presenting the work of the Shallow Marine Surveys Group, while Simon Morley and Jude Brown wait for their turn in the spotlight. 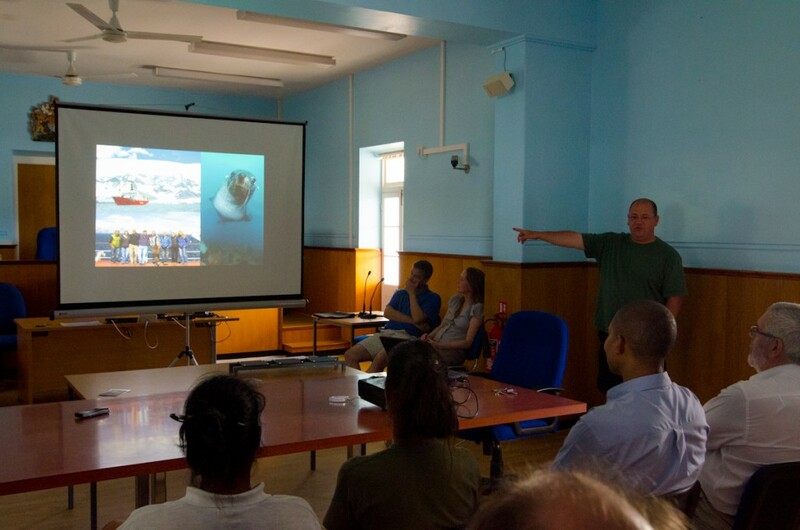 After the talk the team was very grateful for the words of support offered by the audience and the enthusiasm with which the work was received as well as a desire for the continuation of studies of the marine environment by local participants in the future. 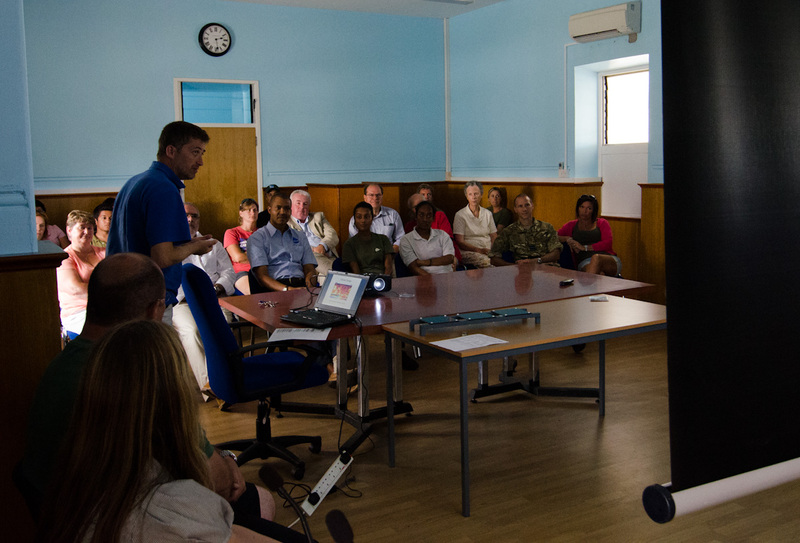 [caption id="attachment_431" align="aligncenter" width="584"] Simon explains the objectives and methods used in his climate-change related experiments carried out during the expedition. [caption id="attachment_409" align="aligncenter" width="584"] The Ascension Island crab, Grapsus adscensionis. Nicknamed “Sally lightfoot” by sailors, there are two crabs of the genus Grapsus which have chosen the tropical eastern parts of oceans as their habitat. 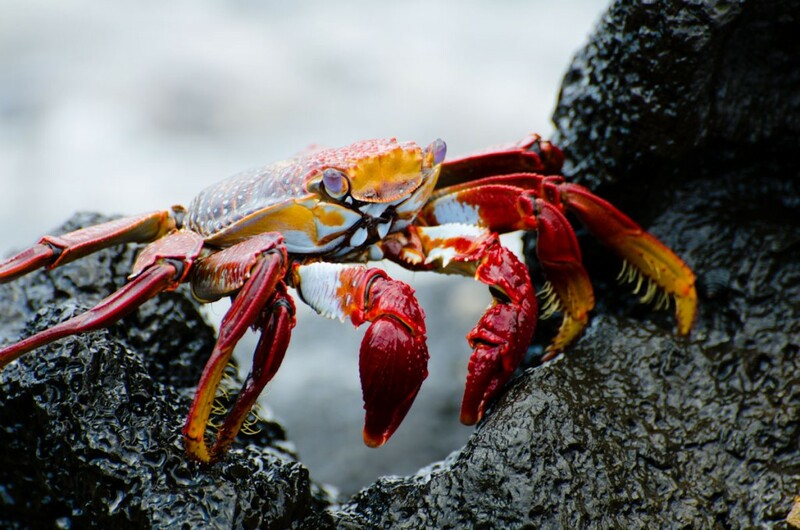 One of them, G. grapsus, settled along the Pacific coasts of America and made the long jump to Galapagos where the local population impressed Charles Darwin with their agility and capacity to avoid sailor hands. Apart from their impressive acceleration from a standing start, another notable characteristic is that they perform a valuable service to marine iguanas by removing ticks from them, similar to the role played by cleaner shrimps with fish. 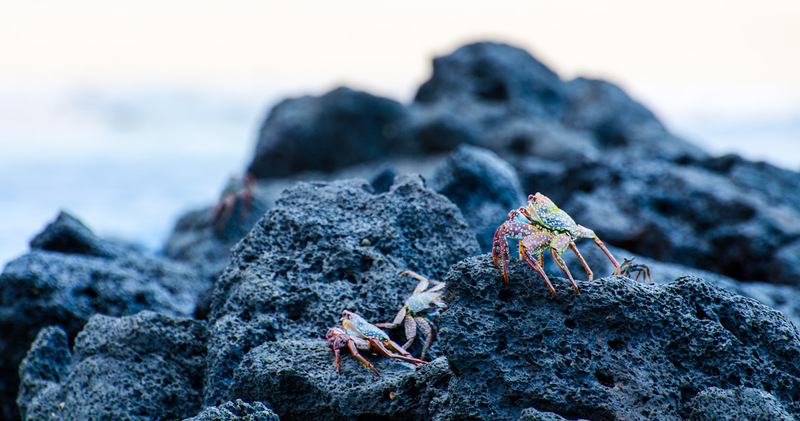 [caption id="attachment_416" align="aligncenter" width="584"] The crabs can be seen clustering on the lava platforms in all sizes. The second species, G. adscensionis, inhabits the east Atlantic and in the historical past also made a long jump - to Ascension and St. Helena islands. The crab inhabits the splash zone though at night they ramble the sand dunes of the island as some ten-legged hosts. 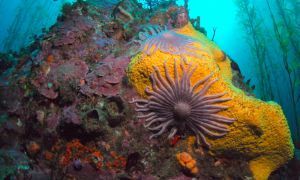 Nothing is known about their biology on this spearhead of their westward expansion of the species range (do they target South America as much as Spanish conquistadors?). In respect to feeding habits, for example they were seen to be feeding on a scientist's sandwich as well as witnessed kidnapping a baby green turtle. 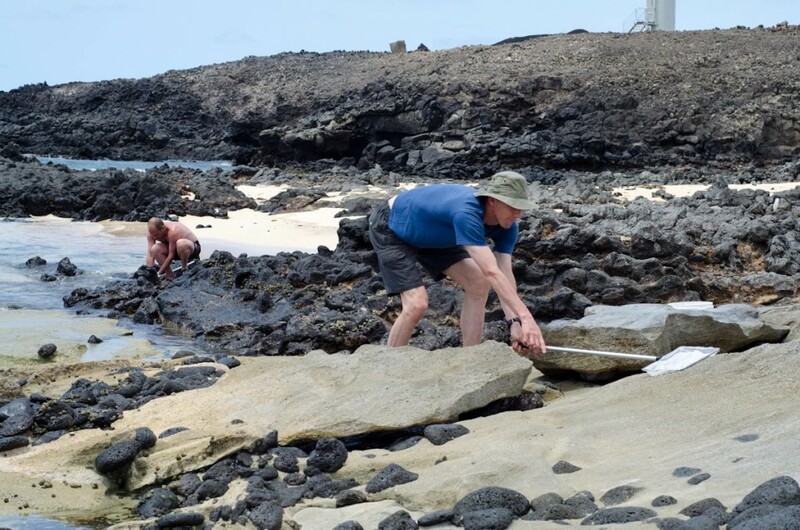 It is not exactly what Grapsus do with reptiles on Galapagos… However, neither sandwiches or turtle hatchlings could hardly be considered as a staple throughout the year. [caption id="attachment_408" align="aligncenter" width="584"] Steve Brown and Vlad Laptikhovksy attempting to catch the very speedy subjects of the investigation. 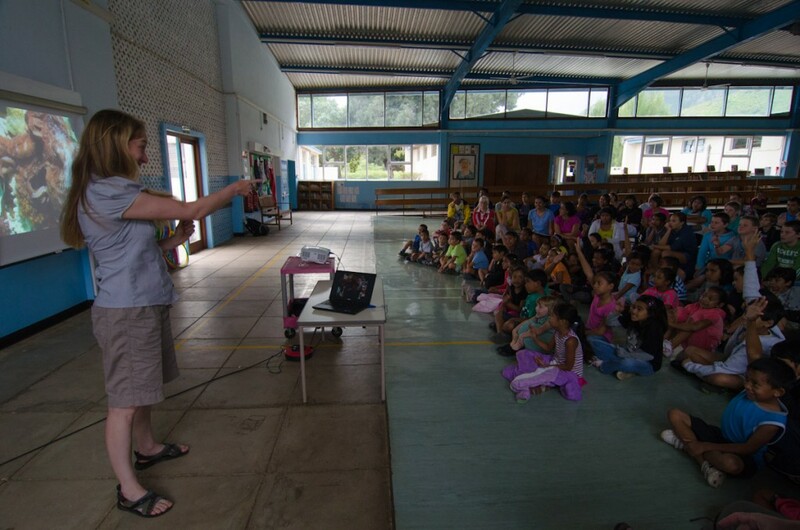 Steve Brown challenged the project to study the reproductive biology of the species, particularly size at maturation and fecundity on Ascension Island. The idea is to compare this information with available data on continental populations of the species, as well as with those on G. grapsus from both the American continent and Galapagos (which are pretty much a "Pacific Ascension") and to reveal how this harsh islands’ environment impacted reproductive features. 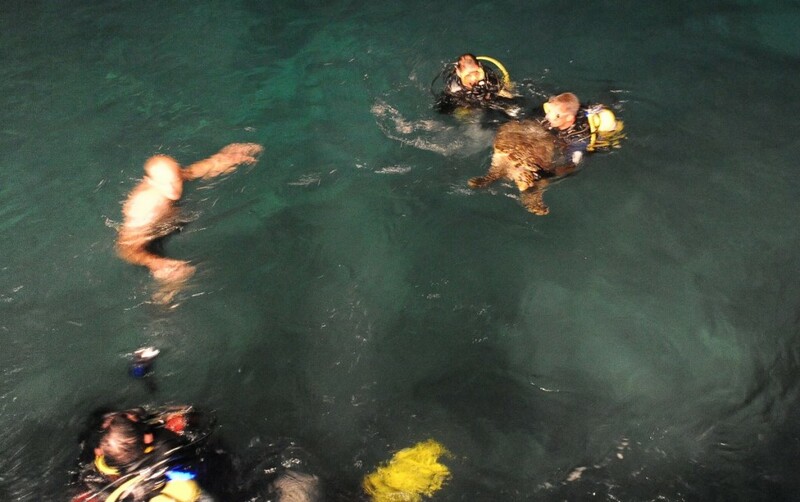 Because of our intensive diving schedule, the sampling usually occurs every day while tanks are being filled. 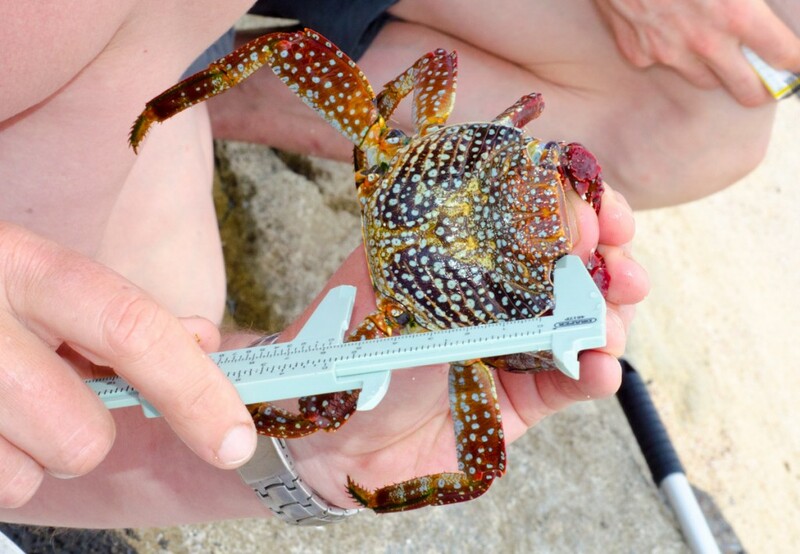 It takes about two minutes for a crab to be caught, measured all across, sexed, cursed for its strong claws and scratchy pointed legs and released back to the shoreline. Some females however are deprived of their broods that would be further investigated in the lab. [caption id="attachment_414" align="aligncenter" width="584"] Measuring carapace dimensions of G. adscensionis, while keeping careful hold of the claws! [caption id="attachment_392" align="alignleft" width="300"] Sam Weber instructing volunteer turtle catchers on the finer points of the art. Attempts to capture and tag some of Ascension Island’s elusive hawksbill turtles (Eretmochelys imbricata) got underway during two night dives at the Pierhead in Georgetown this week. Best known for its globally important nesting population of green turtles (Chelonia mydas), Ascension Island also has a small resident population of critically endangered hawksbill turtles about which very little is known. Hawksbills do not nest on Ascension and from their sizes it appears that most individuals are sexually immature juveniles or sub-adults, but the nesting population(s) from which they originate and the migratory pathways which bring them to the Island remain a mystery. By fitting metal flipper tags carrying a return address and taking tissue samples for mitochondrial DNA analysis we hope to answer some of these questions, as well as adding to scarce data on growth rates and residence times at Ascension. But first we have to catch them! 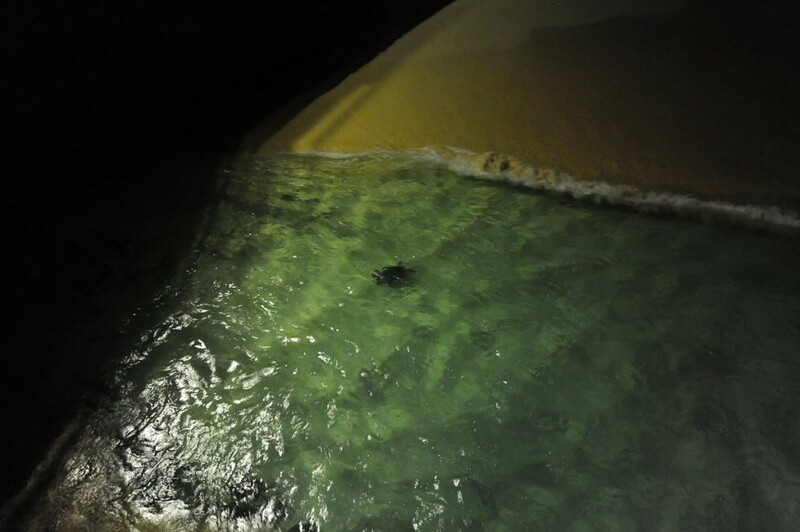 [caption id="attachment_393" align="alignleft" width="584"] A young hawksbill is spotted in the shallows near the pier. 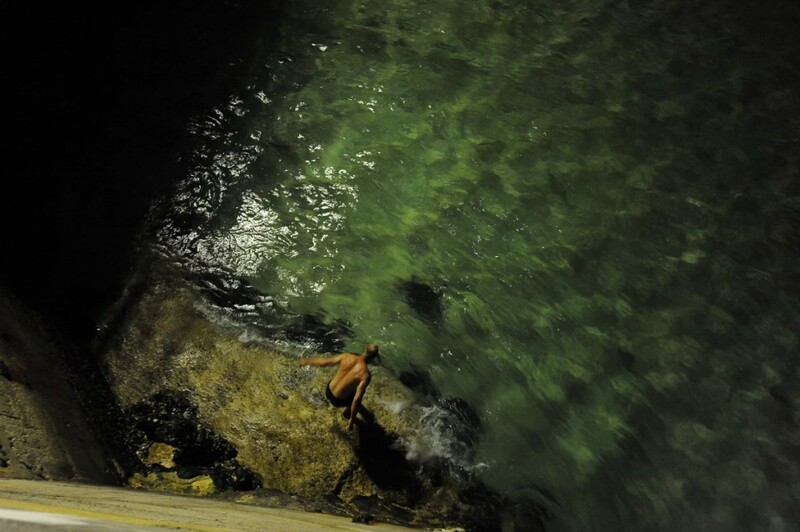 [caption id="attachment_394" align="alignleft" width="584"] As it swims close to the shore Dion Poncet prepares to leap. [caption id="attachment_396" align="alignleft" width="584"] Unfortunately a near miss and the turtle can be seen just escaping Dion's outstretched hand. 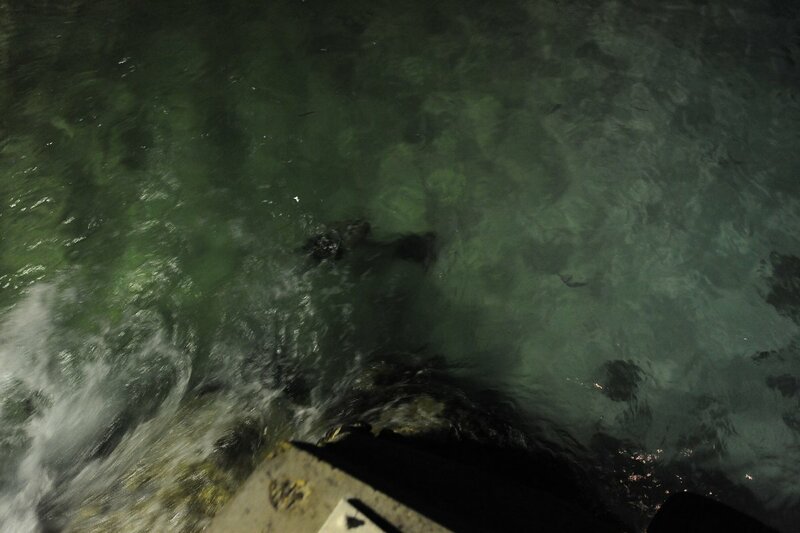 Every evening, as many as 5-6 hawksbill turtles gather around Georgetown Pier where artificial lighting and fish discards allow them to continue foraging late into the night, making this the perfect place to start our tagging campaign. After an unsuccessful attempt earlier in the week, a crack team of elite military divers including Simon Browning, Simon Plummer and Phil Thomas managed to capture one of the largest hawksbills yet seen on Ascension - too large unfortunately, as it proved too heavy to land in the conditions at the Pierhead! Nevertheless, spurred on by their progress so far the team are planning a return visit this week and we will post an update soon. 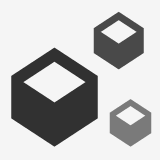 [caption id="attachment_397" align="aligncenter" width="584"] Success! 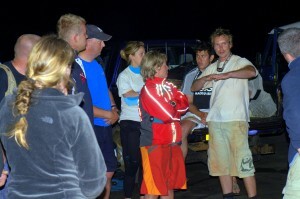 It takes Phil and two Simons to finally capture a hawksbill and shepherd it back to the pier. Nothing vulgar about Octopus vulgaris! The common octopus (Octopus vulgaris) received its unprepossessing name because it is supposedly common everywhere. 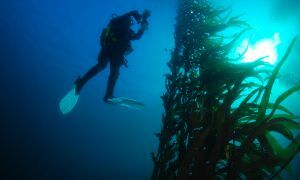 It occurs in every ocean where the water is warm enough for exploration by wetsuited divers. The vulgar octopus hates cold waters and established itself worldwide between latitudes 50 of both North and South. However, the well established point of view that this species is a cosmopolitan citizen began to be shaken because, one by one, different populations were found to be different species. The common octopus from Ascension Island was already supposed to be a distinct creature, and was once upon a time described as Octopus occidentalis. 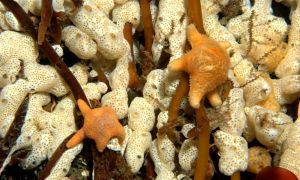 However, later on this name was considered to be a junior synonym of Octopus vulgaris though it is still likely to be a new species. The Ascension octopus could be thought of as underscribed … or more precisely, under-described. 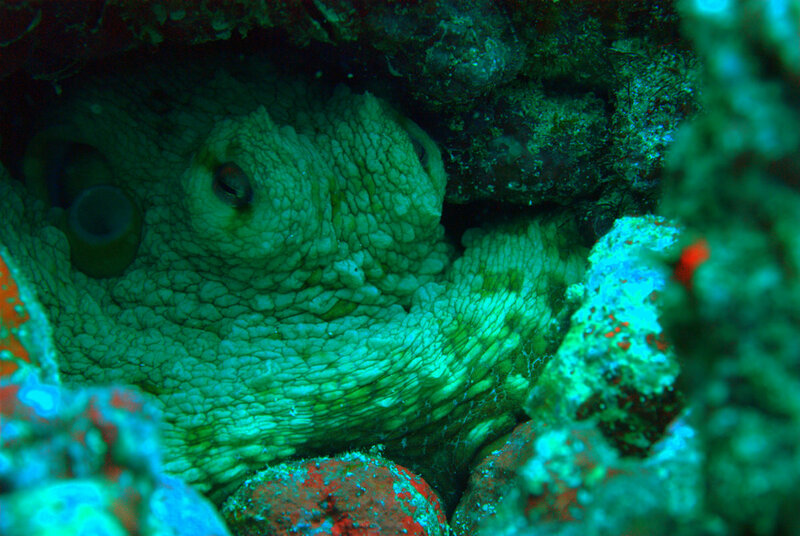 [caption id="attachment_337" align="aligncenter" width="584"] The octopus resident in his den during the day. Nicknamed "Roger" by the team, we'll be visiting regularly to see what scraps he leaves outside. 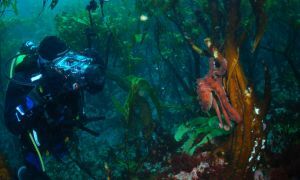 Virtually nothing is known about the biology of this octopus, and because of this when Dr Jude Brown discovered a den during one of her dives surveys, we decided to have a closer look at the behaviour of this animal, and to include repeated return visits to the den when possible. Whenever we arrived at its shelter at each day we would find the creature sitting inside and watching us with its wise and wrinkled eyes of an elderly gentleman. The den itself consisted of a few random volcanic pebbles scattered around and was a perfect disguise for a predatory ambusher. Leftovers of the day’s food betrayed the fact that this soft bodied animal used to leave its den at night, invisible to predators. 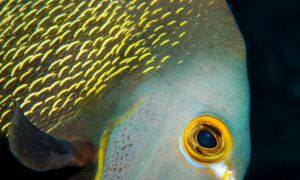 With many hungry fish lurking around any camouflage would be useful. 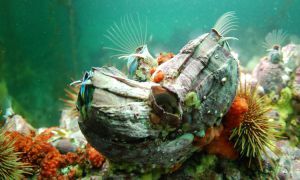 During the first week of observation its daily prey consisted of one to three bivalve molluscs Americardia media, sometimes spiced by some meaty cowrie Luria lurida. No fish, no crustaceans. Our octopus appears to have a very particular diet but we shall see whether it will change its food preferences during the forthcoming two weeks. - Post supplied by Dr Vladimir Laptikhovsky.